Throughout most of retail history, point-of-sale (POS) technology focused exclusively on payment acceptance — i.e., cash, checks, and credit cards. In recent years, however, a new POS feature has emerged — one that allows retailers to offer their customers instant loans at the checkout counter. With today’s POS technology, it’s now possible to apply for and approve in-store credit cards, lines of credit, and unsecured loans in mere seconds. Customers only need to provide a few pieces of personal data to qualify for instant POS financing. For those who are new to credit or have limited cash flow, these types of in-store loans can be very appealing. As a retailer, are instant loans ultimately worth it? One of the biggest benefits of using instant loans is that you can attract more customers. A study found that businesses that offered this type of financing saw a 32 percent uptick in sales activity. In the absence of POS financing, many of your most expensive items will continue languishing on the shelf. With instant loans, customers suddenly enjoy stronger buying power. In fact, the average order value can increase by as much as 75 percent. In addition, instant loans allow you to collect even more data about your customers than you could otherwise. You can use this information to craft better-targeted marketing messages in the future. As a retailer, though, POS financing does have certain drawbacks. POS financing allows you to widen your customer base and generate more sales — at higher prices. Regardless, not all companies have the working capital to offer in-house loans to customers. 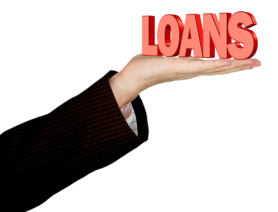 Moreover, many businesses lack the resources to quickly verify the creditworthiness of every loan applicant. One of the biggest hurdles for many retailers is setup. They understand the benefits of POS financing, but they’re unable to get started. Fortunately, this is changing as more third-party vendors step in to facilitate instant loan programs for smaller retailers. These providers handle the setup process for you, and they have the credit check tools to instantly approve or reject loan applicants. This approach, however, reduces your margins since you have to pay additional fees for using these types of services. But for many retailers, the expense is worth it. After all, they’re able to sell more items with instant loans than they would without this type of POS financing in place. Are Instant Loans Right for Your Business? If you primarily sell low-cost consumer products, POS financing probably isn’t the right strategy for your business. Offering instant loans might help expand your customer base a bit. You’ll also be able to collect more data than you previously did, but the setup cost and ongoing maintenance might not be worth the extra effort. If you sell big-ticket items, POS financing could have a measurable impact on your bottom line. It’s worth exploring this option to see if the potential uptick in sales justifies the extra costs.